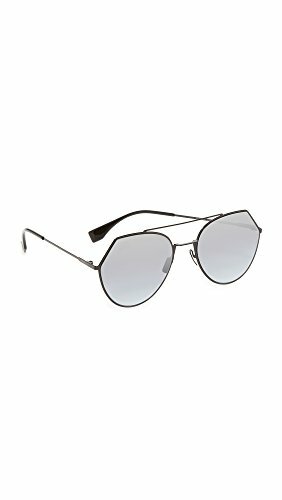 Flat-lens Fendi aviator sunglasses with geometric lenses. Low-profile frames. Hard case and cleaning cloth included.